Not long after, open air markets fell out of favor with the general public. They were considered health hazards and nuisances. They also created obstacles for the ever-increasing streetcar traffic. Bowing to complaints of nearby residents, city fathers decreed that the street markets would have to go, and in 1859 summarily dismantled them. It was then that two main markets sprang up at 12th and Market Streets. They were known as the Farmers’ Market and the Franklin Market. It would be these two markets that would become the forerunners of what is now Reading Terminal Market. Philadelphia’s original public market was located where High (later Market) Street intersected Front Street, close to the Delaware River. The city built its first market house in the middle of Second and High Streets. By 1809, city-owned market sheds, called shambles, lined the middle of High Street, extending west to Sixth Street. New markets opened in other parts of the city as the population grew. 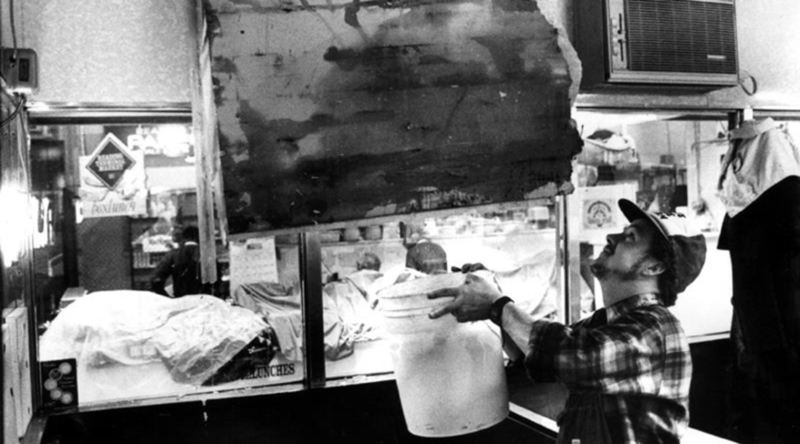 Today’s Reading Terminal Market had its roots in the Butchers’ and Farmers’ and Franklin Markets, both located on the 1100 block of Market Street. 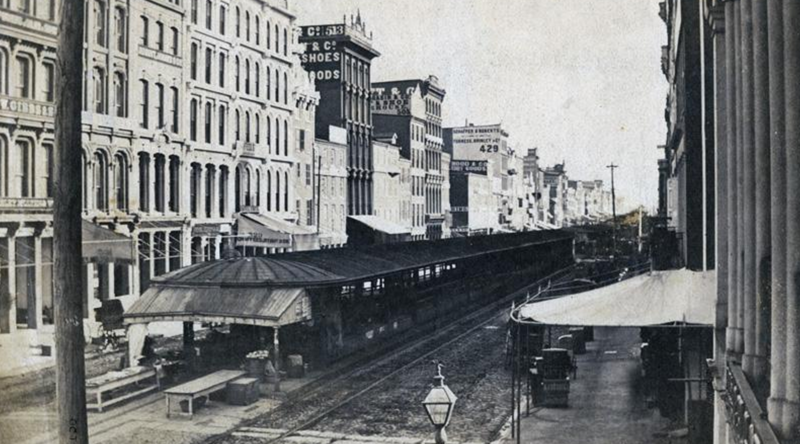 In 1890 the Philadelphia and Reading Railroad Company purchased this block for its new terminal. The merchants’ refusal to relocate for the new building resulted in an agreement to erect a new market tucked beneath the train shed and tracks. The Reading Terminal Market opened for business on February 22, 1893. The street-level Market reverberated with the sound of trains rumbling overhead. The stalls were laid out in a grid pattern with twelve aisles running east-west and four wider avenues running north-south. Sawdust was spread on the floor to absorb spills and moisture rising from the vast cold storage facility in the basement. By 1913 the Market was booming, with 250 food dealers and 100 farmers occupying its stalls. The Market became known for its free delivery service. Boys called “Market brats” carried small orders to in-town customers. People living near train stations served by the Reading or Pennsylvania Railroads called in orders and had their goods dropped off near their homes. Some merchants had their own fleet of trucks. A parcel post department shipped products around the country and to Canada and Mexico. Rick Nichols is a fierce champion of the Reading Terminal Market. 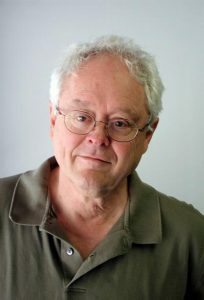 “It is the defiantly beating heart…of old, original Philadelphia,” he wrote in one of countless editorial and columns in The Philadelphia Inquirer from the mid-1980sto the early 21st century. He fought to keep the market open, celebrated its revival and believed in its future—leading tours in its aisles, bringing nationally known chefs and culinary experts to meet its merchants, and continually delighting in its resilience and vitality. Reading Terminal Market opened its doors in 1893. The new Market was approximately 78,000 square feet and held nearly 800 spaces for merchants, each positioned in six foot stalls. The Market was laid out in a grid system similar to the streets of Philadelphia. There were twelve aisles and four avenues. It was the perfect location for easily receiving and shipping goods. Soon after opening, the new state-of-the-art Reading Terminal Market would boast that its refrigeration facility was by far the biggest in Philadelphia with its half-million cubic feet of space and 52 separate rooms, each cooled to individual temperatures, 15 – 25 degrees for meat and poultry, 34 degrees for fruits and vegetables. The refrigeration system included an array of special pumps, compressors, and other equipment to handle the brine and ammonia used in its operation. When the cold-storage facility reached full stride a few years later, a visitor to its chilly climes would regularly find stored there 200,000 pounds of meat, 50,000 crates of eggs, thousands of cans of cream, 10,000 – 20,000 boxes of poultry, 10,000 barrels of berries and cherries, 25,000 barrels of apples, and 10,000 tons of ice. In later years, business flourished as suburban housewives began to take advantage of another aspect of the railroad’s involvement in the Market – a free market basket service on suburban trains. Under the system, the homeowner could arrange for her grocery order to be filled in the Market and the basket placed upon a train bound for her town and held at the station until she picked it up. As horse-drawn wagons gave way to refrigerated trucks in the years after World War I, the Market was able to improve its earlier attempts at home delivery. The trucks provided service every hour to some 60 suburban towns and resorts along the New Jersey shore. In November 1931 the Reading Terminal Market and the Merchants’ Association jointly celebrated the Market’s 40th anniversary with a week-long “Food and Home Progress Exposition,” which drew tens of thousands of people from all over the region. A proud Reading president, Agnew T. Dice, bragged that the railroad’s unique food emporium had won nationwide fame, touting that it was the biggest market in Pennsylvania, and the largest under one roof in the country. 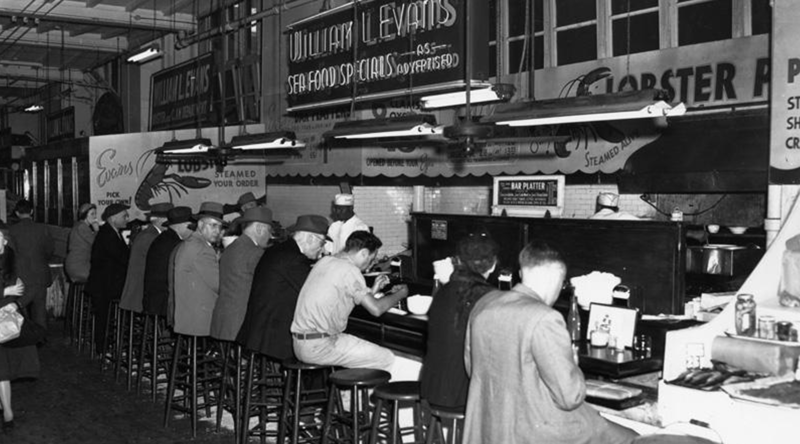 When America faced national crises, the Reading Terminal Market demonstrated the importance of a regional food supply. Compared to other retail businesses, the Market prospered during the Great Depression of the 1930s because local farmers were eager to bring their merchandise to a city where supply was scarce and prices were good. During World War II, when large-scale farmers redirected food production to the war effort, small local farmers sold their goods at the Market. Customers with ration books waited in long lines to buy whatever merchants had to sell. The Depression years of the 1930s were difficult for the railroad and the Market alike, but both institutions managed to struggle through the hard times. By the end of the decade, in fact, 10 of the 64 merchants in the Market were among the original standholders from 1892. During World War II, the Market became a mecca for Philadelphians seeking relief from the rigors of rationing. Even with the war on, the vendors managed to provide a surprising variety of scarce victuals. Despite labor shortages and other problems brought on by the war, 97 percent of the stalls were occupied even in 1944, the penultimate year of the conflict. In the 1960s the Reading fell under the same economic pall that afflicted most of the other railroads of the Northeast, and the Market got scant attention from the railroad. The great cold-storage facility at the Market was shut down and dismantled, forcing standholders to provide their own walk-in refrigeration facilities. A severe cash shortage and declining freight and passenger traffic finally forced the railroad company into bankruptcy in 1971, after which the Market suffered from almost total inattention from upstairs. In 1976, the Reading ceased to exist as a railroad corporation. But a new Reading Company continued functioning, essentially as a real estate business, with Reading Terminal and the Market as one of its prime assets. Various ideas were discussed by the bankrupt company to dispose of the Market so that it would be easier to sell the Terminal building. Business in what had become a shabby mercantile atmosphere rapidly dwindled. Finally, in the 1980s the Reading Company devoted renewed attention to the Market and slowly but steadily the dismal slide ended and, in fact, the Market began a dramatic turnaround. In the postwar years, sweeping changes in where people lived, how they traveled, and where they shopped signaled problems for the Market’s viability. The Reading Railroad’s revenue declined and it had less to invest in the Market’s upkeep. The roof started leaking and the building deteriorated. Compounding these challenges, new food safety regulations required farmers and merchants to invest in modern equipment. The cost and inconvenience led some to leave. Then, in 1976 the Reading Company leased the Market to a management firm that raised rents dramatically. This decision combined with the rundown condition of the Market and a shrinking customer base drove out more merchants. By the late 1970s, conditions were so bad that only the most diehard merchants and their most loyal customers kept the Market afloat. Several years later, the Reading Company bought back the lease and began to reinvest in the aging infrastructure. New management recruited new merchants, including Amish farmers and Asian produce vendors, and organized promotional events to bring in more customers. By the early 1980s the reawakening of Philadelphia’s commercial center and a growing interest in artisanal food drew a new generation of shoppers to the Market. In 1989, a new convention center–adjacent to the Market—was on the drawing boards. In a replay of the standoff of 1891, the Market’s merchants felt their businesses were threatened by a major construction project. Customers feared that the proposed convention center could endanger the spirit of the Market. Shoppers, merchants, and preservationists rallied to keep the Market’s special flavor and historic role intact. The newly formed Pennsylvania Convention Center Authority purchased the Reading Terminal Market from the Reading Company in 1990. The Authority and the merchants negotiated preservation agreements and a plan to keep the Market open during construction. Most importantly, the Authority secured a critical $30 million in public funding to upgrade the Market’s infrastructure and freshen up the drab interior. In 1995, the Authority created a non-profit corporation to manage the Market. In the years since, this historic landmark has prospered. Today the Reading Terminal Market is one of the nation’s most successful public markets with more than 75 independent small businesses that offer an array of fresh and prepared foods, lunch counters, and places to eat and shop. Customers are drawn by the diversity, the democracy, the vitality, color, and clatter. In 1985, the train shed above the Market fell silent when the city’s commuter-rail system was rerouted to bypass the terminal. After several years of negotiations and false starts, the Pennsylvania Convention Center Authority was created to acquire and convert the Reading Terminal into a spectacular entranceway to the new convention center under construction. Philadelphians, with fire in their eyes, immediately demanded assurances that the venerable gustatory jewel under the silent tracks would be part of the rehabilitation plan for the building. It was agreed and construction to revitalize the Market began in the early 1990’s. Today, Reading Terminal Market is once again the gastronomic bazaar that its original planners had envisioned. Many of the historic Market stands survived the reconstruction and are once again filled with local produce, fresh eggs, milk, meats, poultry, seafood, handmade crafts, jewelry, and clothing. The Market is home to more than 80 merchants, two of whom are descendants of the original standholders from a century before. On any given day one can find an eclectic array of fresh baked Amish goods, produce direct from the field, unusual spices, free range meats and poultry, flowers, ethnic foods, and much more. One hundred thousand Philadelphians and tourists pass through the Reading Terminal Market every week enjoying its exceptional products, history, and people. Today, the Reading Terminal Market, considered by many as one of the finest public markets in the U.S., blends together state-of-the-art systems technology without sacrificing its historical integrity. It’s not only a popular hometown attraction, but also the most popular Philadelphia tourist destination after the Liberty Bell and Independence Hall. More than 80 merchants offer patrons fresh produce, meats, fish, groceries, flowers, baked goods, crafts, books, clothing, as well as hard-to-find specialties and ethnic foods. Shopping and dining become a pleasure in this warm, inviting, and unique atmosphere. The Reading Terminal Market, as it was over a hundred years ago, is reminiscent of personal, neighborhood shopping, and still offers something for everyone. A trip to Philadelphia would not be complete without stopping here.